If you are pulled over and suspected of a DUI, you will be administered a breathalyzer test by the officer. These breathalyzer tests, however, are not always accurate. A variety of substances can affect your test results, and create a false positive. While these situations do occur occasionally, it is important to note that some myths about false positives are nothing more than myths. If you suspect that your breathalyzer results were false because of a mitigating circumstance, speak with a criminal defense attorney immediately. What Causes a Breathalyzer to Register Incorrect BAC Results? If you have not been drinking, but your BAC (blood alcohol concentration) results are positive from a breathalyzer test, a few things could have created your false positive. Asthma Inhaler – An asthma inhaler that is used to clear your airways for breathing provides you with a delivery of medication instantly into the lungs, and could create a higher BAC percentage. However, the amount of impact depends on how recently you used your inhaler, and the time you had the breathalyzer test. A high count only registers almost immediately after use. Kamide – Kamide is a medication that can affect your BAC hours after ingestion, because of the chemical enhancements that create a longer half-life than other medicines. Denture Adhesives – Some denture adhesives produce false readings for BAC, especially those fixatives that contain alcohol. Rubbing alcohol used in the adhesives will not put you over the legal limit, but if you have had one drink, it could technically increase your BAC. Blood – Blood in the mouth can contaminate a breath sample and raise your BAC. For example, if you have a cut in your mouth, the blood from that wound could increase your BAC, thereby creating a false reading. To qualify for a foreign substance interference in your BAC, you must prove that the substance in your breath was not ethanol. Only ethanol can result in a DUI conviction. 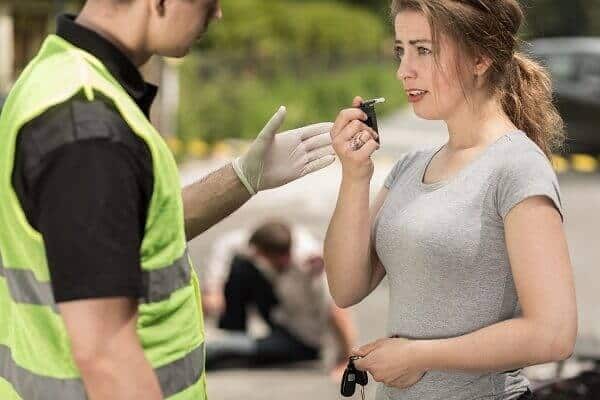 Therefore, if you have other types of alcohol register in your blood test after you are taken into custody, your DUI defense attorney could argue that you were not legitimately under the influence of alcohol. Sometimes an inaccurate read can result from a combination of foreign substances and a faulty breathalyzer unit. When units are not properly maintained, they can create false positives and inaccurate readings. If you think that you have a false reading on a breathalyzer, and you have valid evidence that you might have a foreign substance defense, speak with a criminal defense attorney in Colorado immediately. Contact Christian A. Schwaner, P.C. now at 719-577-9700 or request more information online.